David Krumholtz is a popular American actor. He is probably most widely known for his role as Professor Charlie Eppes in the CBS television series, Numb3rs. Sci Fi fans will probably recognize him as Mr. Universe, hermit hacker and information broker, from Josh Whedon’s movie Serenity, based on the popular TV series, Firefly. Here, we are going to be looking at David Krumholtz curly hairstyles. David Krumholtz long curly hairstyle. David has an advantage over many men in that his hair has an abundance of natural curl. This makes it possible for him to get away with just letting his hair hang where it will and still looking good. He does not need any special products to maintain his styles. Length is the primary guiding influence that defines his style. He often lets his grow long enough that the back almost, even touches the shoulders. The sides taper toward the front so that the hair frames his face. This is the lowest maintenance hairstyle available to men with curly hair. 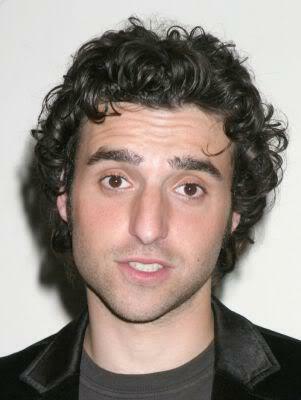 David Krumholtz shorter curly hair. Other times, he has worn the hair shorter, so that a portion of the ears can be seen below it. The hair on top was a touch longer to add some height to his appearance. He has also parted the hair in the center and brushed it toward each side. With this style, he often pulled one lock out and let it hang in front of his face. Sometimes, he did this with a lock from each side. This gave him a slightly rebellious look and made him look younger. David Krumholtz curly hairstyles can be worn by virtually anyone with a lot of natural curl. Those with straight hair would have to have a strong permanent applied to generate enough curl to produce this look. Beyond that, there is little or no need to expend a lot of energy or purchase a lot of styling products.